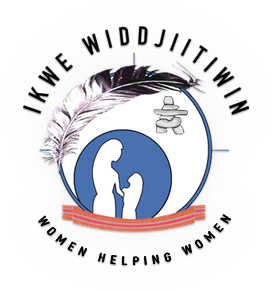 Aboriginal Crisis Shelter Winnipeg | Women's Shelter | Ikwe Widdjiitiwin Inc.
August 2016 - Ikwe thanks Winners/HomeSense and the Canadian Women’s Foundation for the donation of $2364.00. Our women and children will benefit from this. The donation is a portion of the proceeds from the Canadian Women’s Foundation’s 11th Annual Campaign to End Violence Against Women. This is work with partner, Winners/HomeSense, the campaign took place throughout the month of June 2016. Thanks to the Winnipeg Transit Bus Driver of bus# 102 route #15 (time 3:57 PM) enroute for making an abrupt stop and letting a victim that was fleeing her abusive partner on board no question asked. You’re kindness does not go unnoticed. It’s men like you that make a difference in not being a bystander and taking action on ending violence against women! 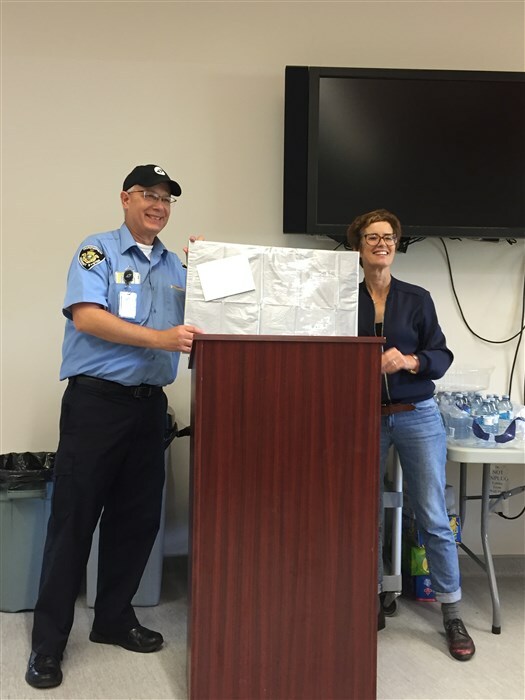 Picture is of our Board President Catherine Dunn presenting Winnipeg Bus Mr. Allan Kauk with a gift. 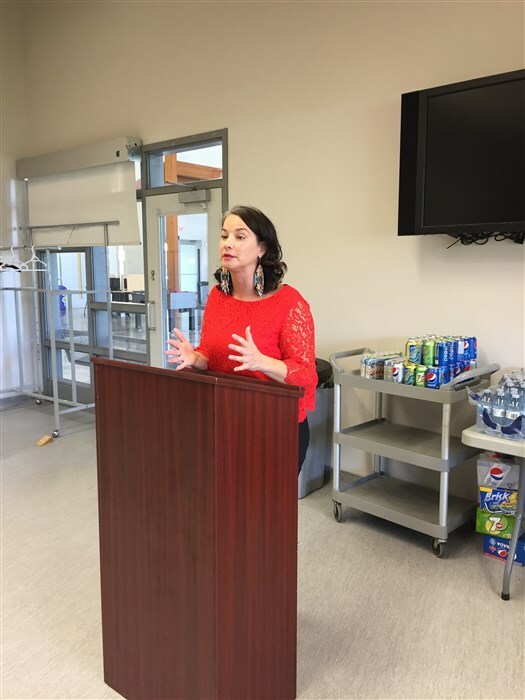 Thank you Meegwetch Nahanni for an outstanding Keynote speech and your inspirational personal message to women struggling with abuse and to our Ikwe staff that work very hard in silence to perform an essential service to the women and children of Manitoba/Canada who walk through the doors of Ikwe. Adelaide, Australia, September 14-16, 2016 at the Stamford Grand Hotel Adelaide, Glenlg. Ikwe presented “A De-Colonizing Approach to Trauma, Healing & Resiliency in a Canadian Aboriginal Women’s Domestic Violence Crisis Shelter." 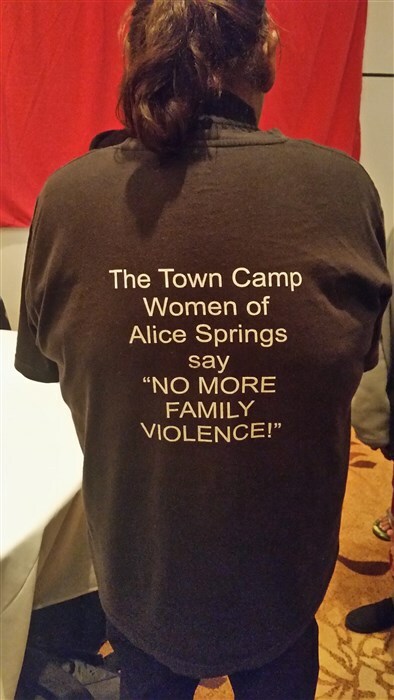 Barb Shaw from Alice Springs, Northern Territory Australia is a strong Indigenous Advocate and Spokesperson on Domestic and Family Violence in Australia, renowned international speaker in this area and as well, Aboriginal land and environment issues. Barb also participates in community planning. 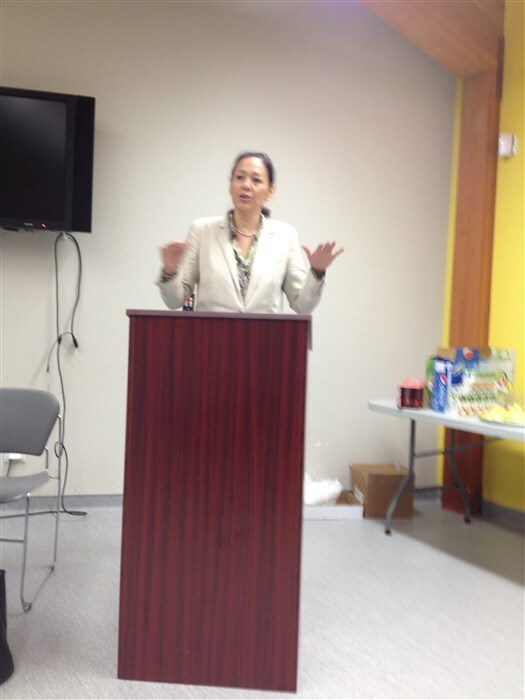 Keynote Speaker 2014 – 2015 Ikwe AGM – Tina Keeper, Winnipeg-based media producer, actress and former Canadian Member of Parliament. Currently, Tina is President of Kistikan Pictures. Ikwe thanks Tina for her empowering words that strive to strengthen Indigenous women in their healing journey towards living a life free from violence.